LANCASTER – Public Works crews spent three days last week repairing potholes and patching minor asphalt failures throughout Lancaster, and the project yielded significant results, city officials announced. “Four trucks and eight staff members were assigned to strictly address potholes during the three-day period [Jan. 22-24]… During this time, all major arterials throughout the city were treated by crews, who placed more than 21.5 tons of asphalt,” states a news release from the city of Lancaster. “For comparison purposes, this amount of asphalt equates to repairing over 1,860 potholes. While all recognizable street failures were repaired, a pothole is typically considered to be an asphalt failure large enough to encompass a passenger vehicle tire,” the news release states. The city’s street maintenance team typically dedicates about 225 hours per month in the winter toward pothole repair. Last week’s effort resulted in the equivalent of one month of routine pothole repair being completed over a three-day period, according to the news release. 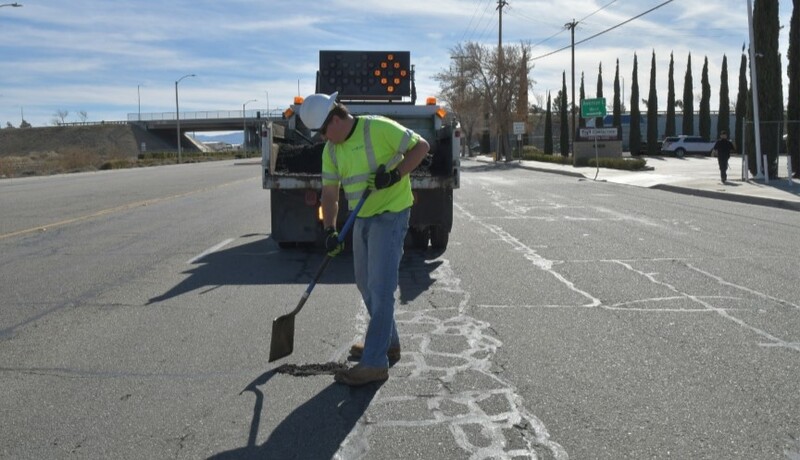 Although Lancaster has an ongoing program to inspect and repair potholes, the concentrated effort was initiated to proactive prevent further street damage after recent rains. 6 comments for "City officials praise pothole repair project in Lancaster"
How about using the roundabout money and bicycle lane money and concentrate on repaving every road in the city. It’s a shame how bad the roads are getting. The city needs to get its priorities in order. Driving in Lancaster feels like off roading. That black coating does nothing. It’s a scam. There is going to be even more pothole repairs after this week’s storms. “During this time, all major arterials throughout the city were treated by crews”……. Except Ave K.
I noticed the difference when I visited Lancaster to have lunch with a friend at Sizzler. I also noticed the widening of the road on 20th street west, and also on Ave L and 10th.